Less Cost Less Stress - Making Your Move Easier! Let Aire Removals Take the Stress out of Moving Home! Aire Removals Leeds have been in the house removals business since 2004 and our professionalism and experience really shine through. We know moving house can be a stressful experience and we aim to make everything as stress free and smooth as possible at very affordable prices. 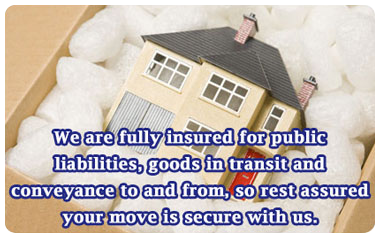 Our rates are hard to beat for a fully insured and professional removals company. "With the equipment and expertise to tackle any home removals situation, your moving experience with Aire Removals Leeds will be quick, efficient, safe and stress free!" Why not leave everything to us so you can use your valuable time for more important things... we offer a full packing service to ensure your belongings are safe and secure during transit, even temporary storage if items need to be stored for a while during removals. We will even dismantle and re-assemble large furniture items for you. With years of experience and hundreds of happy previous customers(see our testimonials) look no further than Aire Removals for all your home removals requirements in Leeds and surrounding areas. For all Your House Removals, Small Removals & Commercial Removals Requirements Contact us for a VERY COMPETITIVE QUOTE.